Scott Edgett is is Co-founder, with Dr. Robert G. Cooper, of Stage-Gate International. He is internationally recognized as one of the world’s top experts in product innovation and is the pioneer of new product portfolio management. His speaking engagements and professional work have taken him around the globe to work with some of the world’s best innovators and companies among the Fortune 1000. Dr. Edgett is a high-profile speaker and sought-after executive advisor on product innovation, and has extensive experience advising multinational clients in a variety of industries, principally focusing on issues impacting innovation performance, capability and leadership. He is credited with helping business executives and innovation professionals successfully implement world-class product innovation programs that have generated outstanding results. He is a prolific author having co-authored eight-books, including the popular ‘Product Innovation & Technology Strategy’, and has published over 70 articles. Dr. Edgett has spent 25+ years researching and developing innovation best practices and working with organizations in product innovation. 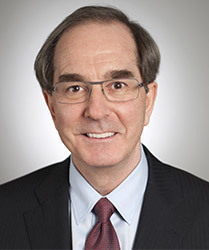 Dr. Edgett is a former professor at the DeGroote School of Business, McMaster University.